“Owen passed away in August last year after giving so much to his community and job,” Lyn said. “It will be an emotional, but proud occasion with my son and daughter there to support me. In recent months, I have relied on my small support network but most importantly, sport, like touch football and walking, have provided me with a healthy outlet,” Lyn said. Lyn was nominated for driving active after-school activities to provide opportunities for Miriam Vale students, something she has done for over a decade. Lyn certainly walks that talk, and for her, the baton relay will come only two weeks after organising Miriam Vale’s Clean Up Australia Day, and one week after a 60 km Manly to Bondi Coast Trek, fundraising for Fred Hollows Foundation. “I have always been a keen supporter of sport, being active and eating healthy. 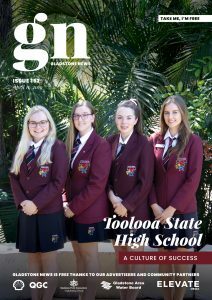 This, for the most part, has been through my involvement at school but I have also been a strong devotee of our Miriam Vale Social Touch Football group,” Lyn said. “We started our Social Touch 20 years ago and our ‘touch addicts’ have kept it going – a proven sustained community sport. Staff often joke or have bets about how quickly I promote ‘touch football’ to new staff that arrive at our school. “I just want others to experience the value of being a part of the fun and fitness and enjoy their time here in our community. “At school level, I believe my involvement with the Active after-school activities has driven my nomination. For over 10 years I have managed our program which is based on staff, including myself, volunteering time to provide opportunities for our students. 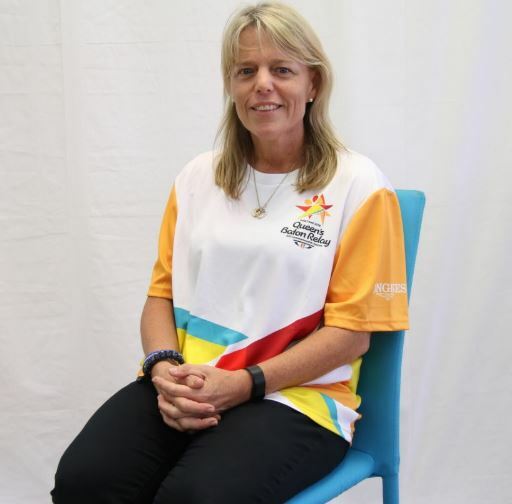 I apply for funding through the Sporting Schools, but these funds have been used to purchase equipment, cover facility costs and provide some professional coaching,” Lyn said.